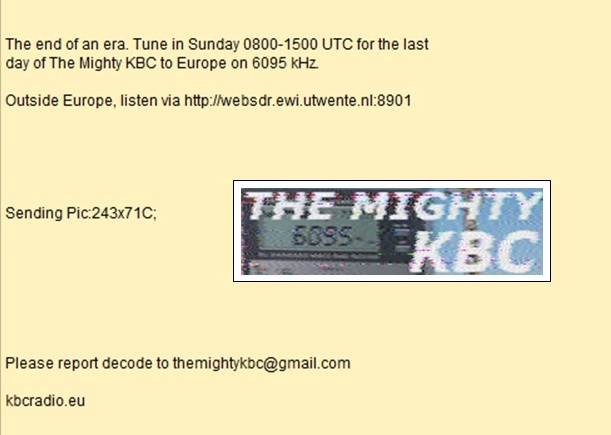 I took Kim Elliott’s suggestion and listened to The Mighty KBC on 6095 kHz on Sunday morning using the Utwente WebSDR which receives signals in Enschede, in the Netherlands. 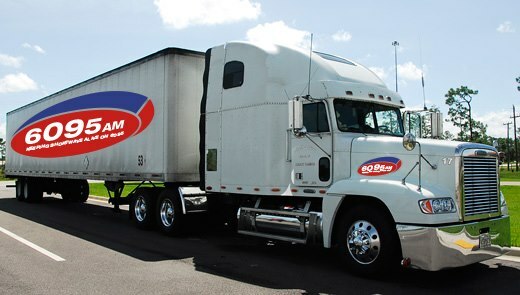 It’s too bad that The Mighty KBC is shutting down! Many thanks for both your decoded message and your recorded audio, Steve! I agree: it is too bad the KBC had to shut down their 6095 kHz broadcast. Note that The Mighty KBC will continue on their AM frequency, DAB and streaming. Check out the KBC website for details. This entry was posted in Broadcasters, Digital Modes, International Broadcasting, News, Recordings, Shortwave Radio and tagged KBC, Steve Yothment, The Mighty KBC on March 29, 2016 by Thomas. 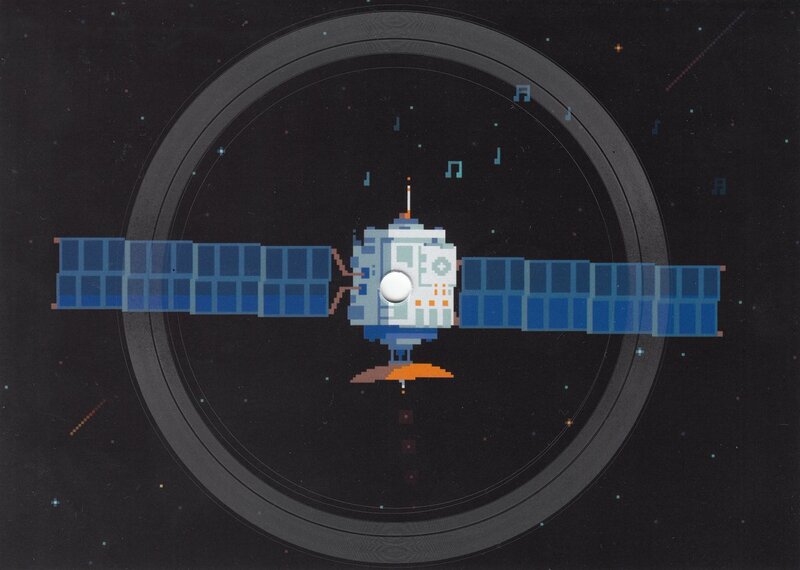 “Yes, modern radios usually have a micro communicating with the DSP IC through I2C communications. The inter-IC communications includes a clock and data line. The clock for I2C is typically 400 kHz nowadays. Harmonics from this clock line are probably the source of the interference. You can learn more about the I2C bus at https://en.wikipedia.org/wiki/I%C2%B2C. Many thanks for your comments, Steve! 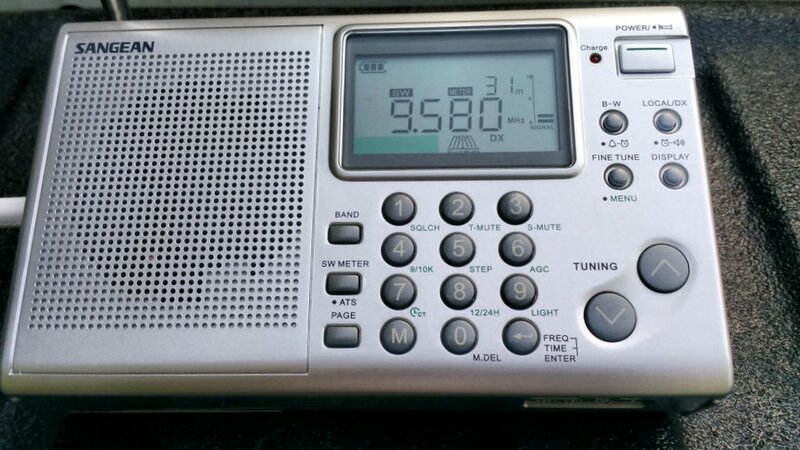 I recall a similar metronomic sound on another DSP-based radio, but can’t remember which model. I need to dig through my reviews as I’m sure I noted this. I believe checking 400, 800 and 1600 kHz will become a standard checklist item when I review DSP-based radios. This entry was posted in AM, News, Radios, Shortwave Radio and tagged ATS-405, Clock Harmonics, DSP birdies, DSP IC, Sangean ATS-405, Steve Yothment on August 19, 2015 by Thomas. Steve decoded the digital data from the audio QSL card and documented the contents on a PDF document. Click here to download. Steve: this is brilliant! Thank you not only for sharing the QSL card images, but for the audio and your excellent documentation of the digital decode! 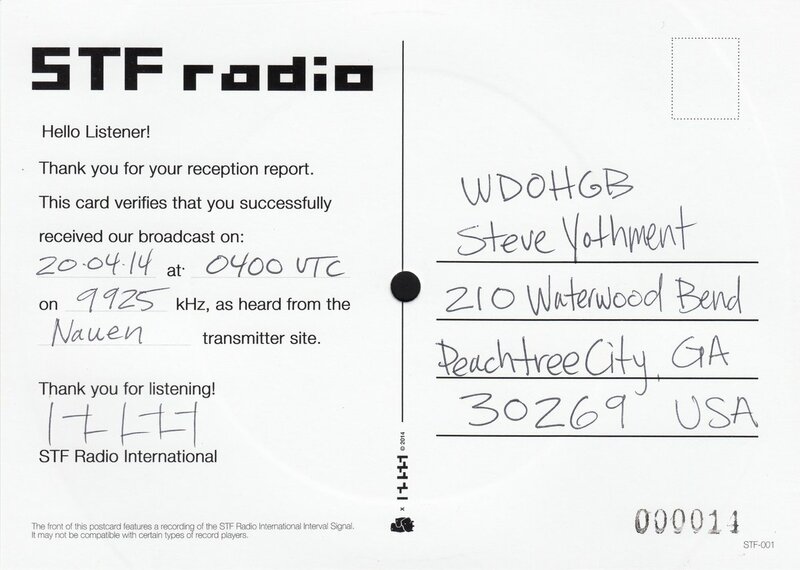 Readers: What’s the most interesting QSL card you’ve ever received? This entry was posted in Broadcasters, Digital Modes, International Broadcasting, Shortwave Radio, What's On Shortwave and tagged QSL, QSL Cards, Steve Yothment, STF, STF Radio, STF Radio International, Super Time Force Radio International on August 5, 2014 by Thomas.